NVIDIA debuts TITAN V, world's most powerful GPU for the PC with 110 teraflops of power. 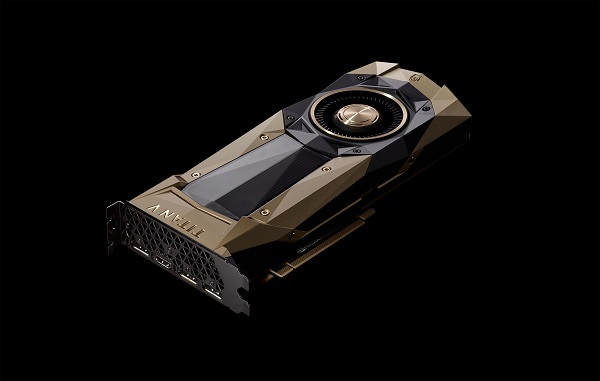 NVIDIA today introduced TITAN V, the world's most powerful GPU for the PC, driven by the world's most advanced GPU architecture, NVIDIA Volta. Announced by NVIDIA founder and CEO Jensen Huang at the annual NIPS conference, TITAN V excels at computational processing for scientific simulation. TITAN V's Volta architecture features a major redesign of the streaming multiprocessor that is at the center of the GPU. It doubles the energy efficiency of the previous generation Pascal design, enabling dramatic boosts in performance in the same power envelope. Its 21.1 billion transistors deliver 110 teraflops of raw horsepower, 9x that of its predecessor, and extreme energy efficiency. TITAN V's incredible power is ideal for developers who want to use their PCs to do work in AI, deep learning and high performance computing. Users of TITAN V can gain immediate access to the latest GPU-optimized AI, deep learning and HPC software by signing up at no charge for an NVIDIA GPU Cloud account. This container registry includes NVIDIA-optimized deep learning frameworks, third-party managed HPC applications, NVIDIA HPC visualization tools and the NVIDIA TensorRT inferencing optimizer.